A high-quality septic system is an important part of any Montrose, NY, home, improving its longevity, value and ensuring that it complies with local laws. The process of installing a septic tank is a significant investment, involving a lot of specialized work and equipment. Therefore, it is important to do your research beforehand to make the exercise as pain-free as possible. A septic tank is a container that houses the waste water from your home. It allows the solids to settle and decompose while letting the effluent wastewater into the drain field for assimilation into the ground. 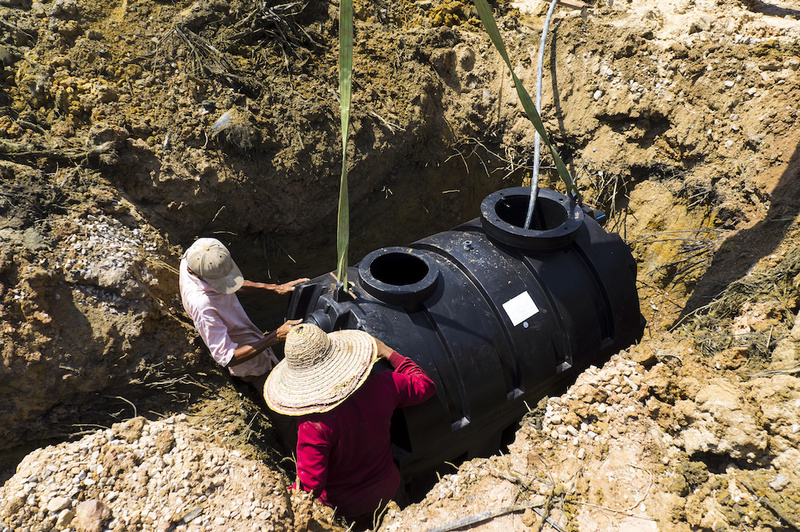 Septic tanks are available in a variety of materials, including PVC, fibreglass, and steel, and can also be constructed on site with concrete. The type of tank suitable for your needs depends on the site of the installation, the capacity required, as well as the type of septic system you wish to install. The Santucci Construction Corp. contractor installing the system will advise you on which type of tank will meet your requirements. Proper disposal of wastewater is highly regulated, with specific design and installation practices required for septic tanks and system. The regulations and laws vary from state to state and can usually be found quite readily with a quick search. For example, the New York state health department website has a comprehensive design handbook for septic systems. Their appendix also covers the topic succinctly including information on the different types of tanks and septic systems, how to find the capacity that suits your needs, as well as the design regulations regarding installation. Being aware of these helps ensure that you can be part of the design process with the contractor and play a role in identifying the best septic tank solution given your needs and budget. Given the specialized nature of the job, an experienced contractor is an important prerequisite for a durable and problem free septic tank installation. It is important to shop around, look at company histories, portfolios, as well as customer testimonials. Septic system installers have to be licensed by the state and your particular installation will require special permits which the contractor can help identify. Moreover, an experienced contractor has a breadth of knowledge that can save you money on your particular installation by suggesting alternate equipment or types of tanks that would better suit your use. Make sure that the contractor has proper insurance for workers, as well as for any subcontractors involved in the project. Put your Montrose, NY, septic tank installation in the best hands possible with Santucci Construction Corp. It is important to know beforehand that excavation will play an important part in the septic tank installation. Whether you are removing an old tank, relocating it, or installing a new one, excavation will be required to house the tank underground, as well as to route the plumbing. Excavation can be dangerous given the high chance of cave-ins, especially for larger tanks. Having an experienced contractor in charge will not only minimize the damage to your yard but also ensure that the installation is safely executed.